This week’s episode is an extraordinary one! 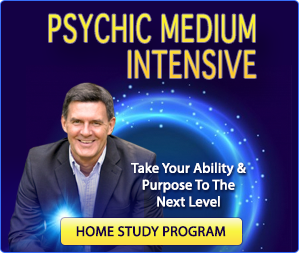 In it, you’ll get to journey with Melissa during her Life Between Lives regression. This is a special, longer episode, so I encourage you to make time for it. Break it into parts if necessary because it’s packed with fascinating and enlightening information. In a Life Between Lives regression, aka Spiritual Regression, not only do you experience a past life but also what happens after you die. In Melissa’s experience, you’ll get to hear her describe what happens at the moment of death and beyond. This includes the life review process, the lessons from that lifetime, as well as what one is meant to learn and experience in this lifetime. You don’t want to miss this memorable glimpse into the afterlife! I can’t wait to hear your comments after you go through this experience with Melissa. If you have questions for Melissa or me, we’ll address those in a future episode – so please submit your questions using the contact form on https://www.afterlifetv.com/contact/. As always, leave your comments on AfterlifeTV.com, YouTube, Facebook, and Twitter. And if you’re watching via YouTube, I hope you enjoy Melissa’s photography. Until next time, shine on! 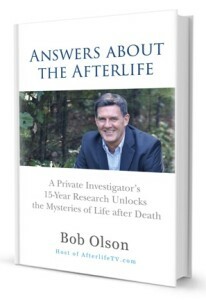 Bob: Hey, everybody, Bob Olson here with “Afterlife TV,” you can find us at afterlifetv.com. This is where we talk about life after death, and answer the meaningful questions you have around that subject. 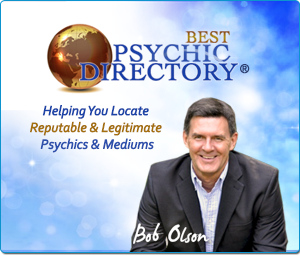 Today’s episode is sponsored by bestpsychicdirectory.com, where you can find the most credible and reputable psychics and mediums. There’s over 900 listed there, and you can check them out by location, specialty, or reviews. 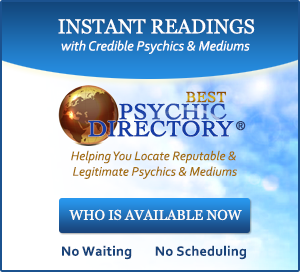 That’s bestpsychicdirectory.com. 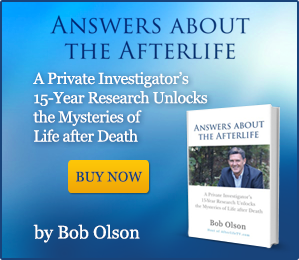 I also wanna thank everybody who has left reviews for my books, my two books not just the latest one but also “Answers about the Afterlife,” which came out in 2014. Over 560 reviews, they’re on Amazon, for that book. And I thank each and every one of you. The latest book is “The Magic Mala: A Story That Changes Lives.” This is actually a novel. So if you appreciate a story that teaches, then you’re gonna like this one. This is similar to “The Celestine Prophecy,” “The Way of the Peaceful Warrior,” or “The Alchemist.” If you enjoyed those books, you’re probably gonna love “The Magic Mala” as well. The latest reviewers are some people I just wanna call out by name in gratitude for leaving five star reviews. Ryan Kissell, Trish, Nelda Gonzales, Benedetta Semprini, Lester Otto, Ed Bengtson, Clairre Sommer, and Heather Reed also left five star reviews with some very, very nice things to say. So I appreciate you doing that. Now, today’s episode is super special, and if it seems like I’m rushing I kind of am. The episode is a little longer than we’ve been doing lately, it’s over an hour. But it is such a special episode, that if you don’t have that much time to listen to it, I certainly recommend that you split it up. And check out this episode because it involves, Melissa’s life between lives regression. This is a recording of Melissa’s regression. 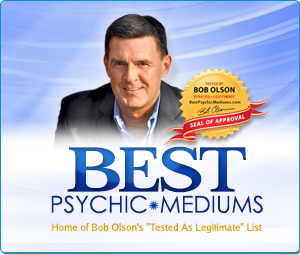 It’s not just a past life regression, it’s what’s called a life between lives regression. Some call it a spiritual regression. This is when you go into a past life with the help of regressionist, and then when whoever you are in that lifetime dies, you keep going, you keep following that person’s spirit. And you go back into the spirit world, and you have a spirit world experience. That’s why some people call it a spiritual regression. It’s fascinating, it’s insightful. The wisdom that is gained is absolutely amazing, and even listening to somebody else’s regression as you will with Melissa’s, you’re gonna get so much from this. I can’t wait to hear your comments on this episode because it’s an experience. You know, certainly this was Melissa’s experience, but this is going to be an experience for you. The regressionist was Nancy Canning, that’s whose voice you’re going to be hearing. If you go to afterlifetv.com and look in the show notes for this episode, you will see contact information for Nancy Canning. What’s really cool about this is that Melissa did this via Skype. Okay? So they were many miles away from each other, Melissa was at our home on Skype lying down while she did this experience. Nancy was in her office many miles away just watching Melissa as she did it, and then Nancy recorded this for us. Here’s the thing which you’re gonna recognize. This is a three and a half hour experience for Melissa. Well, one of the reasons it’s so long is because there’s a lot of silent moments. So you know, this is an experiential experience, right? Is that a thing an experiential experience. This is something that you experience. And what happens is, Nancy will be asking you a question while it’s happening, and at least from my… this is my experience, not everybody’s, all right. My experience was when Nancy was asking me the questions, this would be true for any regressionist, I kind of felt like annoyed by the questions, because I just wanted to keep experiencing things. And yeah, if it were not for the regressionist you wouldn’t move forward, you just stay there. You’d just be experiencing it and… I mean it would be fun, you could experience it for hours. It’s not something you get bored with. But you definitely, need the regressionist to kind of guide you along and move you forward, and ask these questions that you then answer. So that when you listen to the recording later you are able to remember what happened. And the questions that Nancy asks are absolutely fabulous. She’s so good at this, she asks these questions that not only come from years and years of experience, and probably I think thousands of regressionist that she has done. Again, not just past life regressions but life between lives regressions. But also she’s intuitive. And so you’re having this experience and she’s fully aware of what’s going on, and you can tell that just by listening. She’s asking questions that you know she’s knows, what’s going on, or she wouldn’t have asked that question. So it’s pretty cool in the way that Nancy does this, and the way she works. And the gifts that she has gained over the years, not only as an interviewer really in this case, but also as an intuitive. I edited out all the silent moments, so Nancy would ask a question and there would be… I mean there could be three minutes to five minutes of just silence. And Melissa’s gaining information will just say she had this experience where she was with these spiritual beings that she called the Elders. And she was just getting information from them. And then she would answer Nancy. So many of these, you know, turned about a little over an hour experience into a three and a half hour experience. I just went in and took the audio and edited out all those long spaces, this is what resulted. So you’re gonna get to listen to it. A couple issues where you might not be able to hear Melissa’s audio perfectly, one of the great things is that Nancy usually will repeat what Melissa says, after she’s done saying it. Again, it must just come from experience she knows what she’s doing. Usually when someone’s having this experience of talking very softly, and that was certainly the case with Melissa. You’ll also notice that they’re very single word answers. Later, you know, you could talk to Melissa about this, and she would have a lot more information than what she’s answered, you know, these single word answers that she’s giving Nancy. But there’s something profound about the single word answers that she’s giving. There’s a simplicity in it, that really teaches us the listener wisdom, you know, insights that we might not learn otherwise. I think you’re really gonna like it, I think it’s super special. One thing I just wanna add is that Melissa and I are gonna talk about this episode in a future episode. If you have questions for Melissa, regarding her experience or me, because I’ve had lots of these experiences, you can certainly ask us. Go to afterlifetv.com, and go to the contact page. And you can email our assistant Jennifer, and she will put all those questions together, that we can try to answer when Melissa and I do that episode, okay. Finally, let me just thank Melissa, for sharing this experience it’s a very personal experience, when you have something like this, to share with so many people. It takes a lot of courage and a lot of faith. So thank you, Melissa, and thank you, for listening, I hope you enjoy it, until next time bye, bye. Nancy: And be there now in that other time that other place, and take a look around and notice are you inside or outside? Nancy: And what’s the environment outside? Nancy: And are you in the mountains or the mountains are distance off? Nancy: You’re in the mountains yes, and notice how you’re dressed to be here in the snowy mountains. Nancy: You’ve got furs and noticing are you male or female? Nancy: You’re male, and at the count of three, you’re going to know your age. One, two, three and how old are you there? Nancy: Fifteen, and now at the count of three you’re going to know your name, your name will simply come to mind. One, two, three and what’s your name? What are you called? Nancy: Jesse and Jesse, tell me about yourself what kind of a young man are you? Nancy: You’re strong, and how are you strong in what ways? Nancy: Physical strong, yeah, and what is it that you do that made you so physically strong? Nancy: Yes, and what is it that you’re doing out here today in the snow? Nancy: What are you climbing for? Nancy: Yes, so what’s special about the view? Melissa: I can see everything. Nancy: Yeah. And what’s that like to be able to see everything? Nancy: Yeah. And why do you see as you’re out there, as you’re up reaching where you’re going, and you look out what’s the best out there? Melissa: Sky, clouds, mountains, trees, water. Nancy: Yes. And do you climb here often? Nancy: Yes, and what is it about being here and seeing everything that’s so special? Why’s this meaningfully to you to be able to see everything? Nancy: Yes. And what is it that you’re connected to? Melissa: Everything, everyone, every animal, everything. Nancy: Yes. And so Jesse I want you to move back through this day now, and move on through the day and be there now, at the count of three of the evening meal. And be there now with who you live with, or your evening meal. One, two, three and be there now, and what’s that like? Describe that scene? Melissa: [Inaudible 00:11:41] there’s a fire in the fireplace, and then a cabin type of thing. Nancy: And who else is there? Nancy: Dogs, yes. Are there any people or do you live alone? Nancy: And how is it that you’ve come to live alone? Melissa: I lost my parents. Nancy: And how have you survived since you lost your parents? Melissa: Using the gifts that I was given before they died. Nancy: Yes. And what’s it like for you living alone at this young age? Melissa: Lonely at times, but free to, free to move as I wish. Nancy: And Jesse at the count of three you’re going to know the geographical location where you live, where you reside. One, two, three, and where do you live where are you? Nancy: You’re in the West. Yeah and at the count of three you will know the year, the dates that you’re in. One, two three, and what’s the approximate dates? What year is it? Nancy: And so Jesse, I want you to move on because I want you to understand that of all the lives this is the life you’ve chosen to go back to, and of all the days this day, when you’ve been out climbing and seeing the beauty. And I want you now to move now further on into your 20s, or 30s, or 40s but move to a significant time in that life, at the count of three. One, two, three and be there now and how old are you there? Nancy: Fifty one, and what’s happening at 51? Nancy: It’s quiet. And are you well and healthy, are you ill, or why is it just so quiet there? Melissa: It just seems dark and quiet. I don’t feel ill, I don’t feel in pain, or it’s just quiet and dark. Nancy: So I want you to move a little bit before then to find out what that quiet and dark is all about. So move back to the day before, just take in a breath, and move back before you ended up in this quiet dark space and what’s happening there? Nancy: Yes, you fell, and what happened when you fell? Nancy: Yes, were you high up? Nancy: Yes, and when you fell, what did you fall into? Nancy: Yes, and did you die in that moment or did you live through that? Nancy: Yes, so allow yourself then to move through falling into the rocks and release the body. Take a breath and release the body. And be there now above the body, and what are your first thoughts? What’s that first awareness as you realize that that life came to quite a sudden ending? What’s that like? Nancy: Yeah, as you see yourself down below. Nancy: Yes, and notice how that floating feels. Nancy: Yeah. Be there now it’s so free. And what are your first thoughts as you realize you’re free and that life really is over? Melissa: I’m amazed at the lightness, feeling of weightlessness. Nancy: Yeah. And how do you feel about your death, as you look down and feel this lightness, realize it’s over? How do you feel about that sudden ending? Melissa: Fine, it’s not sad. Nancy: And so knowing that before we move further away from your body and begin to follow your journey back home, do you remain longer, to you say goodbye to someone or is there any unfinished business that you attend to? Melissa: No, I’m ready to take off. Nancy: Ready to go. And so as you begin to leave your body knowing that very soon you’re going to be receiving divine help and releasing all the remaining residual energy from your physical life. You’ll be returning home. So moving away from your body. Begin to experience that sensation and notice do you move quickly or slowly or…? Nancy: Is there any kind of pulling sensation or not? Melissa: Like I’m in control. Nancy: Yes, so move and experience what that’s like, as you leave moving fast. Notice the view or noticing if you’re looking upwards. And experience that trip home, you’ve been this way before. And let me know when you’ve come to that place where you stop. Nancy: Yes. And notice as you stop, is there any presence there, is there anyone with you, or there lights off in the distance or what’s it like there? Melissa: It’s a combination of light and dark. Nancy: Yes, and to just be there, and notice if you…sometimes you may feel something or notice or sense if there is a light, a presence, a being near you, or off in the distance coming towards you, or if you begin to move towards a light? Melissa: I’m moving towards something. Nancy: Yeah, so just keep moving and knowing that you’re continuing to move deeper and deeper into the consciousness of the afterlife, as you move toward something. Describe what that is. As you get closer and closer was it that you’re moving towards? Melissa: It’s like a light. Nancy: Yes, yeah. And notice if there is a feel, a sense to it, as you get closer and closer. Melissa: I’m feeling cold now. Nancy: Yes and notice if that essence, that’s light like if it begins to interact with you at all, is it separate from you? What’s that like as you begin to feel more whole? Melissa: It’s feeling more encompassing. Nancy: Yes, and so just breathe it in and really all of your attention and what that feels like. Nancy: Yes, just keep being encompassed, breathing it in, noticing how it feels, as this essence, this light encompasses you. And as you’re continuing to become more and more your own essence notice what happens with you, what’s it feel like there? Nancy: Yes, and notice if this feels familiar to you? Nancy: Yes, it’s a space you’ve been in before. Just keep noticing as you’re more and more peaceful. What happens with your own essence as you feel brighter, noticing if your essence begins to change in any way. Melissa: I just feel like a wave, a wave of something larger. Nancy: And is that light essence still there with you? Nancy: Yes, and notice is there any kind of communication with it, knowing it’s all telepathic it’s just the knowing communication or is it simply just being? Nancy: Yes. So let yourself move through this wave of something larger. And then notice as you’re more and more fully return home to yourself. But at some point in time, you become ready to move on or something changes, something happens as you move into the next phase. Noticing what your essence is like how would you describe yourself now? Nancy: And is your essence kind of dense or is it more nebulous, does it have shape or not shape color, no color? Nancy: No shape just being? Yes, and I want to know that as you continue on you’re going to continue to incorporate more and more fully your wholeness, your sense of wholeness continues to grow as you move more and more fully into reuniting with yourself. And as that continues, I want you to begin then to move on, and do notice what happens next as you become more and more reunited with yourself becoming whole. What then happens, does this light stay with you? Does it begin to withdraw? Do you become encompassed at all with it, do you become one with , what happens? Melissa: Encompassed in all, it’s still there. I feel there’s someone else there. Nancy: Yeah, there’s another presence there? Nancy: Begin to become aware of that light, if that light feels familiar that other presence? Nancy: Yes, and so what happens with this presence? Nancy: Yes, and what’s that communication about? Nancy: And what’s it like to be back with this presence again? Nancy: Yeah. Really breathe it in and begin to become to remember who this presence is that such joy to be back with. And who is this? Nancy: And notice what it’s like to be back on the soul state with him. And what is it that the two of you communicate or as you’re welcome back? Nancy: Yeah. And notice what the two of you begin to do if there’s more communication, is there movement if you go somewhere do you just be? What is it that happens as you’re back together again? Melissa: We’re moving to go see something on others. Nancy: And the two of you go together? Melissa: Yes, he’s taking me. Nancy: So let him take you. Notice what how it is to travel, to move as he’s taking you there? And who is it that you go to see? Melissa: Others no one in particular. Nancy: And noticing are these others that you are familiar with? Nancy: And how do you interact with them? Melissa: Well, with the same communication. So it’s as if one of them is communicating with me. Nancy: And how many are there in that group? Nancy: Yup. And are these like friends and peers, are they others higher teachers what level are they? Nancy: Yeah, and who are they? Who do you know them as? Nancy: Yeah, they are your friends and yet they’re elders, those are those who know you, who are higher so to speak than you? Nancy: And so begin to notice what’s it like as you join them in. As you’re there with them what’s that like? Melissa: We kind of get down to business. Nancy: Yeah. And how do you feel as you get down to business? How do you feel in their presence besides safe? Do they greet you in some way or what’s their beginning communication? Melissa: Friendly, warm, very warm. Nancy: Yes, and so they start right off getting down to business, and what do they say? What’s that first communication that knows you’re getting right down to business? Melissa: Their seriousness, but kind, like I’m here for a reason, very loving. Nancy: Yes, really breathe in, really breathe in, their love very loving they are. And then how does it begin? What do you begin first to talk about? Do they ask you something, do they tell you something? Melissa: They are asking me. Nancy: What do they ask you? Melissa: What I’d like to know. Nancy: Yes, and so what do you tell them you would like to know? Melissa: Why I am Melissa? What I’m I here for? Nancy: Yes, and how do they respond, what are you here for? Melissa: To be Melissa, they’re funny. Nancy: Yeah, they are very funny aren’t they? And what else do they tell you what that means since that’s not quite enough? Nancy: No. And so what do they tell you more? What is it, that you’ve come to be and to do this lifetime? Melissa: Love. That seems too simple. Nancy: So ask them to expound. Melissa: It’s not complicated they say. Nancy: What are you trying to learn about love? What facets of love are you trying to learn in this lifetime? Melissa: Giving, and receiving, both are equally as important. Nancy: And how do they think you’re doing with that? Melissa: They gave me a thumbs up. Nancy: And since you’re doing so well with that, what else would they love to see you accomplish in the area of giving and receiving? Melissa: Express more they say. Nancy: What would that look like, what do they mean by that? Melissa: Show more it’s in writing. Show more, express more outwardly. I feel what that mean. I’m having trouble putting it into words. Nancy: But you understand it within you? Nancy: Yes. And are you aware that they had sort of expected you to be at this stage of your life, are you ahead or where they might have expected or where you had planned or behind. Where are you on your overall plan for this lifetime? Nancy: You’re ahead, and what is it that’s allowed you or enabled you to actually get ahead of what was perhaps planned. Nancy: Yes. And how’s he helped you? Melissa: Expand my consciousness, release emotional baggage that frees that up for me. Nancy: So ask him now about the cancer. How did that fit into this plan for your life? Nancy: And how was it to be for freedom? Melissa: Holding myself back for others, thinking I was doing it out of love. Nancy: And what did you learn? What did they want you to know that was so important about what you learned? Melissa: That by not holding myself back, thinking that that is giving love. That I actually free them and free myself at the same time. Nancy: Yes. And was the cancer part of the plan from the beginning? Was it one of the options, was a definite? How did the cancer fit in before this life happened, the planning for this life as Melissa how was the cancer apart of it? Nancy: Yes, it was all planned and did you go through it as planned or better than planned or? Nancy: And is there anything else from that they you to know that there’s any other lessons or anything else that you could get of value from the cancer? Melissa: They are just saying let go. Nancy: And do you let go of? Melissa: That it might be still there. Nancy: Let go of the fear? Nancy: And can you ask them for help on how do you actually do that in the human mind? Melissa: Trust, trust that I know the truth because at times I know they said. The fear only comes occasionally. Nancy: And what do they want you to do or to know when the fear comes occasionally? Nancy: Breathe and know, so when it comes. Melissa: They’re here, they’re with me, and that it’s just fear. No worries they say as you say. Nancy: And what else do they want to know about this life, that there is often more than one purpose, the main one being love. What else is it that you’ve come in this lifetime to learn? What was the plan that you were planning out this lifetime? What else did you want to be challenged by or to learn, or grow or achieve? Nancy: And why did you wanna learn what it’s like to feel different? Melissa: To expand, and be comfortable with that expansion. Nancy: And how do they think you’re doing with that, with being comfortable with expansion of you being different than family and so many others? Nancy: And so ask them what that role that loneliness plays at times, that you feel different than family and friends? Melissa: Not sure, loneliness is freedom they say. Nancy: And how does that work? Melissa: They’re restrained by the perception of others. They go hand in hand, it’s not negative. So we perceive it as negative. It’s really the essence of us, of who we are in the human body. Nancy: So with the loneliness looking back asking them as you look back to that other life, that last life as Jesse, have them take you through that life, what was the purpose of that lifetime? Melissa: To know loneliness, to know we can be in loneliness and be in life and be happy. Nancy: And as Jesse were you happy? Nancy: And so how do they say you did in that lifetime? Did you ever marry in that lifetime? Nancy: No, so you were really very alone and isolated. Nancy: You had your dogs. And notice that you’ve gone into that lifetime to know loneliness and that you did well. And so notice that in this lifetime asking them you bring in again the theme of learning about loneliness from a different point of view, a different facet. And what the bigger picture is for learning about loneliness it’s one facet of many lessons that you’ve been learning about in different lifetimes. As Jesse lonely in your surroundings, in this lifetime lonely in your inner world so to speak of just being different, and yet surrounded by family and loved ones. And so just seeing learning for yourself the whole bigger picture of learning about loneliness, how that’s helping you to grow and what the real bigger lesson is in learning all about loneliness? Melissa: To be free in my own thinking, my own thoughts, perceptions, to just be free in trust. Nancy: Yes, can you look back, can they help you look back a number of lifetimes was there a lifetime when you were afraid of the loneliness? Let yourself look back or perhaps you can go to the library, but back to see the pathway that led to this over numerous lifetimes. What was it like in the other lifetimes? Melissa: Not a good feeling. Nancy: Not good. Look and see how you experienced loneliness then. Nancy: And look to see if there was fear of it? Nancy: So later life after that darkness, that real darkness then you began to fear it. Nancy: And then in these later lives? Nancy: You have reason to be proud of it looks like for how far you’ve come over lifetimes in that one facet of learning. And ask about if there’s other facets of lessons that you’ve come along ways in, that this lifetime, it’s something that’s there, but you’ve come so far with it. Ask them to a point another one of them out too that’s important for you. Melissa: Body, being in my body. Nancy: So do any of those council members knowing they speak as one, do they make any comments about your current state of advancement this time compared to your former lives? Melissa: They say they are proud of me. Nancy: And let that in and let yourself really experience what that’s like. And what do they want you to know that… is their message is their reason that you’re here with them today, something they want you to know. Melissa: That everything is okay, everything will be okay, that they are always there if I need to access them. Nancy: And is there any certain way that you can access them, or you are already doing it or can they give you some insights so that you know you’re accessing them? Melissa: I’m seeing them doing it, I don’t know that I’m doing it. In order for me to know that I’m doing it meditation and music are the best ways of meeting them. But again I won’t need that anymore. Nancy: Is there anything else they can tell you that you planned for this lifetime, that would help you to become were consciously aware of it? Any lessons or anything else that they want you to be aware of, that you’re doing and might not even be aware of? Melissa: Good patience, keep doing what I’m doing. Keeping open and expanding, enjoy the ride. He’ll be back with us again, more patients, they are saying more patients may be needed, but I’m good at that. Nancy: Are there any particular elders you have a certain expertise in any field that’s helpful to you? Melissa: They say they all are. Nancy: So I ask if there’s anything else before we move on, anything else they want you to know, or anything else you would like to ask them? Melissa: They just say continue to give love. Nancy: And ask them why is it…because there’s no children in this lifetime is that right or do you have children? Nancy: And ask them about that before you leave, why is it that there’s no children in this lifetime is that part of the plan? Nancy: And why is that. Melissa: Because a mother’s love is different than loving someone who is not your child. Nancy: And so what are you trying to learn about that type of love? Melissa: That it can be as unconditional as a mother’s love. That it’s a connection, an interconnectedness of everyone, everything in the universe. And that if I had children I had may fought to do this only just because it was a mother’s love. Nancy: So what is your most important individual characteristic as a soul that defines the real you’ll? That no matter what lifetime, you come into this is who you are, you bring that characteristic with you? Melissa: Strength they say strength. Nancy: And notice how that strength shows up how you recognize the different qualities of strength that you have. Nancy: And so now being the essence as you’ve been in this afterlife for a time now, noticing your own soul essence, noticing your own beingness, the I am that you are, and describe what that’s like? Melissa: It’s a combination of everything happiness, sadness, weakness, strength, lightness, darkness, heaviness, weightlessness feels like everything. I can choose what I wanna feel. Nancy: Because it’s all there. So really be in that experience of all that you are, all the duality, all that’s contained within you. And really just experience it fully as the I am, that you are, and noticing if that feels familiar in who you are, actually does feel very familiar to you. Nancy: And recognize when you feel that’s not your body that’s you. That’s the you, that continues on and that’s connected at all times to spirit. And so what is it that you actually do so to speak in between lives have you spend your time? Melissa: I see myself not walking but sharing and communicating with others, just one after the other, after the other, after the other. Nancy: And what are you sharing and communicating about? Melissa: Whatever it is they want to communicate. Nancy: And so what is it about you that does this well, that communicates, and shares with others? What happens with them, with these other souls when they communicate with you what happens? Melissa: We love and we cry and we hug and share love. Nancy: And so notice as you’re with them, and just sharing and being with them, what happens with their energy, their essence? Nancy: And what happens with yours? Nancy: And notice how naturally that happens with you, and are these souls that you know or are they ones that you don’t know? Is it a younger group, or is it more advanced? Is that anyone, who are all these that you’re communicating and sharing with? Melissa: Well, they seem the younger, although not all of them. Nancy: And have been in the spirit world a while? Have they just come back, is this an ongoing thing that you meet with them over and over. Become even more aware of the details of how you spend your time and what the interactions are about? Melissa: I think they are new to the spirit world. Nancy: Yes, and they have lots to share about don’t they? Nancy: Yeah, and notice how you feel towards them as they’re younger souls who’ve returned? Nancy: Yes, and noticed that as you’re being with them, as you spent some time now just being with these souls and just sharing and communicating, and loving, and hugging. Notice how natural that feels to you, doesn’t it? It’s just who you are. I want you to really notice you could not do that, could you? Nancy: It’s a part of your core essence. And then notice how you do that same thing here on earth in your physical life, how you naturally do the same thing. And think nothing of it perhaps? Nancy: And yet look at the difference you make on the spirit level with their energy. Where you can see them expand, where you got that visual energetic validation. And noticing that that’s what happens on Earth too. And so then as you’ve come in to give and receive love this lifetime, this is how you do it, you just be, don’t you? Nancy: Yes, and the expansion is getting rid of everything in the way of you just being who you really are to just in full[SP] people and being with them. And knowing that your presence has an impact on others, and asking your elders if they can show you anything more about that? Melissa: They say brings joy too. Melissa: Often others don’t know they are being expanded. So they don’t know they are being expanded, they may not respond, react or engage. Nancy: Good, is there anything more about that? Nancy: Just notice how good it feels doesn’t it when you’re just being you. It goes back to what they said earlier it’s not complicated, is it? Nancy: And so notice just that’s part of the earthly journey is to remember, oh my goodness it really isn’t complicated it really is this simple. We’re always looking for something so complicated for life lessons, and purpose, but it can be this simple, just be you loving. Melissa: Don’t question if it is enough they say. Nancy: Not to question is it enough? Nancy: Because what do they say, because that’s kind of human, isn’t it? Nancy: I am I doing enough, it’s supposed to be more. And what do they tell you about enough? Melissa: It’s not a good word. Nancy: It’s not a good word at all. Melissa: They’re getting funny again. Nancy: Well, that’s good it’s supposed to be fun isn’t it? Nancy: So as you look back and they can help you which one of your most favorite past lives as you look back through your history, through your past, bring to mind, they can help or…which one of the…a favorite of yours? Nancy: And what made that one so special? Melissa: All the exploring I did. Nancy: So exploring is that part of your soul’s nature? Nancy: And so how are you doing that this lifetime? Nancy: And so when you’re in the spirit world, do you go exploring there? Nancy: Yes, now to do some of that, now where is it you go exploring? Who do you go with? How is that for you when you’re so completely free in spirit? What’s that exploring like? Melissa: Sometimes I explore just different feelings like I think of feeling weightless and I am weightless, I think I’m feeling extreme joy and I feel that. Nancy: It’s fun isn’t it? Nancy: Yes and it’s so easy there isn’t? Nancy: And then notice how you can do that in the body as well. Maybe other than the weightless stuff, how can you bring that same exploring into the body? Melissa: Probably do the same thing with my body. Nancy: That when you felt your full self that it was all there, and you get to choose what you want to feel. Nancy: So it’s the same thing in the body. Does it sound like freedom is important to you? Nancy: And, this is a way of being free, and how else do you explore and explore your freedom or the whole exploration in the spirit world, do you go different places or? Melissa: Yes, sometimes I wanna be in out of space of being out of space. I wanna be on Jesse’s mountain be wherever I wanna be. Nancy: And so who is it that you hang out with, who is it that in between lives that you hang out with? Do you spend time alone with Bob with others? Nancy: In the between lives, in between there in the spirit world, what do you do with your time when you’re not you know welcoming and the greeting and being with those younger souls. What else do you do? Melissa: I hang out with people. Nancy: Do you have a certain group? Or is it a lot of people? Or do you have a soul special group of people or? Melissa: Hang with a lot of people. Nancy: And what kinds of things do you do together? Melissa: Communicate, we sometimes explore. Nancy: And is it always these same people or does it change? Nancy: Yeah, so what draws you to the different souls? What is it that has you hanging out with some and then others? Melissa: Learning new things, being in different energies. Nancy: Is that way you enjoy changing, is that being in different energies with different…? Nancy: So there’s no one thing that’s kind of in common with all these different ones? Nancy: And notice how you play together, what’s some of the fun playful things that you do with these different groups? Melissa: Not feeling as doing. Nancy: Yeah, just being playful just being. Part of the qualities of that being is playfulness. Nancy: And so do you spend time studying or are you beyond that? Or is it learning through these different groups? Melissa: Yes, learning from these different groups, you don’t feel as you’re studying. Nancy: But it’s learning, growing, expanding, simply by being in the different energies? Nancy: And so what is it that then calls you to perhaps know that it’s time to do another lifetime? What goes on within you to know that it’s time? Nancy: And once that hunger for? Nancy: Hunger for something new? Nancy: And so how what happens next. When you’ve got this hunger, and so there’s that knowing of I want something new what happens next? Nancy: And so how does that planning happen? Nancy: And what kinds of decisions get made in that instant decision that you’re ready? How that planning happens, you meet with others, is that already planned, who has input? Melissa: It’s already in place. Nancy: And do you have input into the plans? Melissa: My input has accumulated. Nancy: So it’s not a one-time thing it’s been going on as you’ve been in the spirit world. Nancy: Saying oh I want this and this, and this, and that. And so that is you become aware how much do you get to know about what that next life will hold for you? Melissa: Everything, you know everything. Nancy: So in coming into this current life as Melissa, why is it that you chose to be female? Nancy: Yes, and you normally come in as female or do male a lot or it is equal? Nancy: And so coming into this lifetime why is it that your mother was chosen for, or that you chose your mother? Nancy: How does having chose her, play into your life purpose of giving and receiving love? Nancy: She was good at love. Have you come into other life terms with her? Nancy: Yes do you do that often? Nancy: Is it usually mother-daughter or there are different variations? Nancy: Has she passed over or is she’s still alive? Melissa: She’s here, she’s alive. Nancy: And so what about your father, why did you choose him? Nancy: Do you come in with him very often? Nancy: And what about siblings. Why did you choose to come into a family with you being near the bottom, near the younger one, a larger family? Melissa: To experience diversified love. Nancy: And as that was all being planned out, what were your thoughts about the way the love would be expressed through all the different siblings in the family? Melissa: I would experience love on many differing levels conditional, unconditional. Nancy: And notice how all of that was meant to help, how was that all part of the bigger plan for your life? Melissa: I definitely experienced having a lot of love, feeling lonely, and being around a lot of people but feeling lonely dichotomy of it all. Nancy: And so noticing now from this higher wisdom how that’s all part of what you were wanting to experience. Nancy: Carolyn, you’ve done lives with her before? Nancy: Do you often come in together? Nancy: Is it usually sisters? Nancy: Is she often the older or you will trade places a lot? Nancy: And why is it that you two come in as sisters all the time? Nancy: So see that lifetime when you were twins, what did they mean by twins? Melissa: Two halves of a whole they say. Nancy: So have them explain what does that mean on a soul level? Nancy: Yes. So when you are both new souls, new expressions, were you expressed like sort of speak at the same time? Nancy: So it’s not like physical twins get born from the same? Nancy: So you’re twins in that your souls mirror one another? Nancy: Reflections and why is it that you created this with your sister on the soul level? Melissa: She can remind me and I can remind her. Nancy: Yeah it’s a great plan isn’t it? Nancy: You get to live your own lives, your own journeys, but you are there to remind each other. And then coming in with choosing Bob as your husband been as the two of you coming in together again. So how often you do that come in together as husband and wife? Nancy: And what’s the agreement this lifetime? Melissa: Be each other’s teachers. Nancy: You notice what it is that you teach? Melissa: Unconditional love, patience, balance. Nancy: Balance, yes, and then what does he teach you? Melissa: Perseverance, self-worth, strength, and love, unconditional love. Nancy: And nothing back in the other lifetimes in which you’ve come in with him, in different forms, husband-wife any relationship. If there’s are certain themes in those lifetimes of why you come in together. Melissa: Always as different parts of a whole, so the different aspects of us life gets better as a whole. Nancy: That’s wonderful. And then in the spirit world, do you hang out together much? Nancy: Yes, and notice together what you do in the spirit world what kinds of things do you be, or do together? Nancy: Just being. And notice then in the spirit world as the two of you were together, what… I wanna say what kind of… it’s like there’s something that happens you make an impact then on the other same thing of two different parts fitting together as a whole on earth and lifetimes. How does that also work in the spirit world? Melissa: We explore changing them up, taking the opposites, and choosing them, and see how they fit together. It’s almost like we’re experimenting from lives that were gonna choose. Nancy: Yes, try this on and see how that would fit in a life together. Melissa: It seems more like our curiosity. Nancy: Yeah. And notice its fun. Nancy: Part of you enjoying trying on different feelings and stuff. What would it be like to be like this? And then you get to play it out together. Nancy: And notice because we haven’t spoken about a guide, do you have a guide or teacher who’s with you in spirit, or who has relevance to you when you’re in the body? Nancy: And so noticing and having that information, while you’re not experiencing one, do you tend to have a guide or why not if not? Do you just go to your elders or what is it the kind of the hierarchy so to speak for guidance and help? Melissa: I guess it would be a guide. A guide feels like an individual, but it’s not an individual. Nancy: It’s made up of different one’s different beings. Melissa: An energy with purpose. Nancy: And how does that energy with purpose and then help you? So there’s not a personality attached to it? Melissa: Shows we thoughts, feelings then validates them somehow for me. Showing me something in the physical world, so I can receive the information and believe and trust the information. Nancy: And when you’re in the spirit world, do you ever aware of God or source or creator or call what you want? Are you aware of something higher? Nancy: And what’s that like for? Melissa: It’s more the power it’s in the interconnectedness of everyone in the spirit. So we have our smaller energies as individual souls, but the sense of a higher is really the interconnectedness of all that are there. Nancy: And how does that then translate to when you’re in the human body? Melissa: You’re in a vehicle, more distant feeling but accessible, and there’s the day to day living in the human body distracts from the connectedness. Nancy: Whereas the spirit that distraction isn’t there, are you aware of it kind of is a constant in the spirit world or not? Nancy: And then noticing and comparing where it just is, it’s just constant, it’s there, it’s just is. And then noticing what it’s like there in the human body where that is more distant. How that distance can be… even though it’s accessible, how that distance with this knowledge and experience can be diminished. Nancy: So walk around and see if there is anything more that you want to experience, or if there’s anything else for your elders that they want to know. Nancy: And notice if that feels complete. Nancy: And so knowing that what’s really important is that all that you’ve experienced you really do bring back with you. That as you come back leaving that high realm of your soul, mind, in this beautiful existence in the spirit world between lives on earth. I want you to remember the loving world is always with you, it’s always accessible. And everything we’ve talked about, all your thoughts, your memories, your insights, will be retained to help and empower you as you complete the remainder of your current life, now with renewed energy, purpose, awareness and insights. And so allow this all-knowing knowledge to settle calmly within your conscious mind and proper perspective just allowing it to continue to integrate. To feel completely whole, as a single person that’s you, your immortal self completely joined with your human self.